Fixed recessed spot made of die-cast aluminum with twisted screw inner ring. This spot is lightly polished. This recessed spot is suitable for mounting in a suspended ceiling by means of spring clips. Aluminum recessed spot Silver Fix 010 WL for LED light sources. 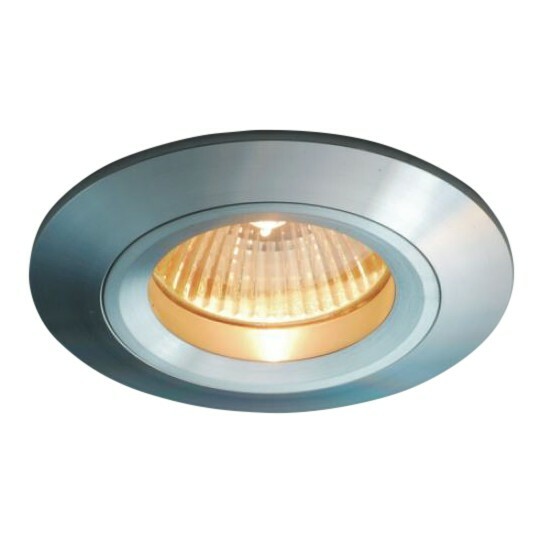 The downlight seal class is IP20 and has a maximum output of 35 Watt. Is suitable for 12v MR16 GU5.3, 230v GU10 halogen and LED light. This recessed spot is made of aluminum and very nicely finished. The light source is fixed with the inner ring. The inner ring of this aluminum recessed spot is screwable and therefore no clamp spring is visible. Suitable for type light sources MR16 12v GU5.3 and 230v GU10 halogen lamp or LED lamp and LED modules.